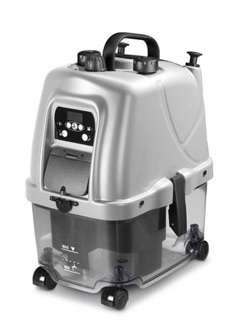 Powerful Steam cleaner and vacuum with continuous flow and detergent injection. 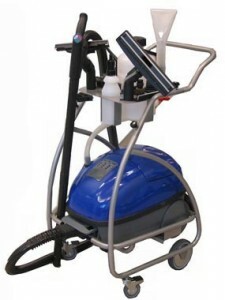 This machine comes with a great range of attachments to cover most applications, and has a powerful 8 bar steam pressure. 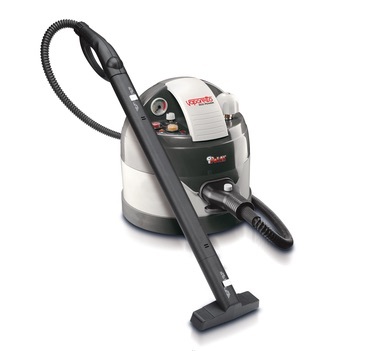 Using steam is an effective and environmentally friendly method of cleaning hard surfaces. 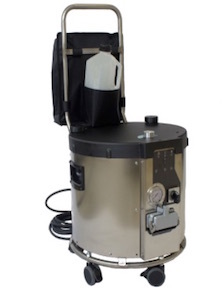 The applications for this machine are many and it is ideal in hotels, guest houses, hospitals, childcare, gyms, sports clubs, commercial kitchens, bathrooms, public areas, bedding and furnishings, floors, walls and ceilings etc. 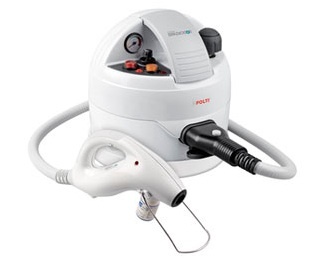 This steamer is light and versatile, and with the optional extra trolley, staff can carry everything they need.